The Florida-based label is set to release a vinyl version of SARCOFAGO “INRI” featuring two types of gatefold jackets. The Warfare Noise compilation will be released as a deluxe 6-panel digipak. 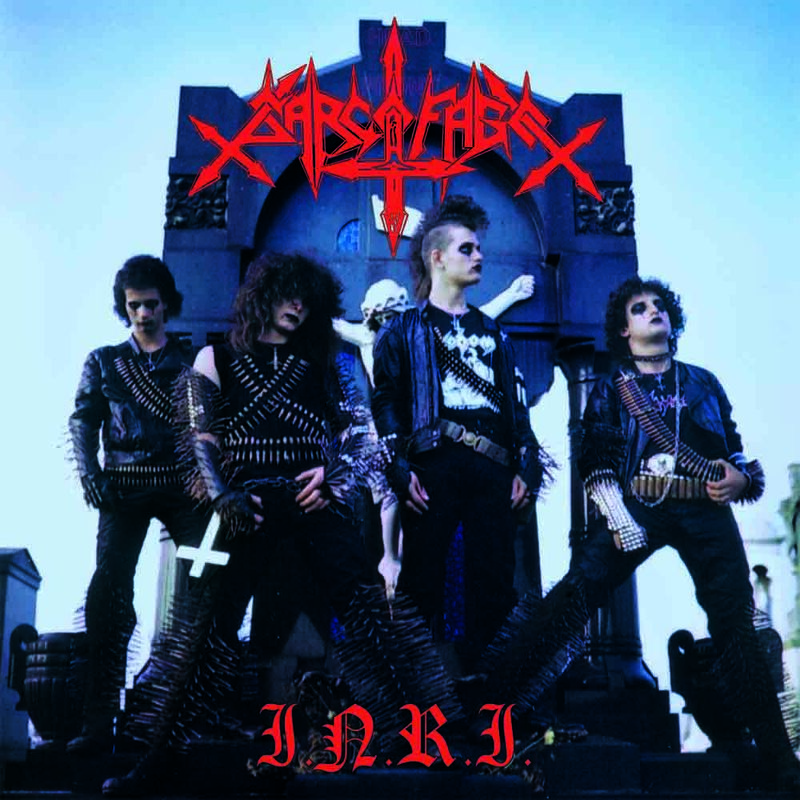 Greyhaze Records is proud to announce the vinyl reissue of a hallmark in Extreme Metal: Sarcofago “INRI”. The reissue comes in celebration of the album’s 25th anniversary and will feature two different gatefold jackets. The first version will feature the album’s original, now-infamous orange-hued graveyard photo. The second version will feature the alternate blue hued photo, which was first released in 1991. Both versions will also feature a deluxe gatefold insert featuring album lyrics as well as photos from the band. Originally released in 1987 “INRI” has been a major influence in Black/Death Metal bands and scenes worldwide and is greatly relevant to this day. Originally released in 1986, the “Warfare Noise” compilation represents the first officially released output by classic Brazilian Metal bands HOLOCAUSTO, CHAKAL, MUTILATOR, and SARCOFAGO. The album is an important document in the history of Heavy Metal giving a glimpse of what would eventually become the Brazilian Metal scene that spawned bands such as SEPULTURA, among others. This reissue comes housed in a deluxe 6-panel digipak featuring many never-before seen photos of all bands involved. Musically the album brings about all the tracks available in the original “Warfare Noise” as well as special bonus tracks from each band. Both releases are now available for pre-order at the Greyhaze Records store at the following URL: store.greyhazerecords.com.